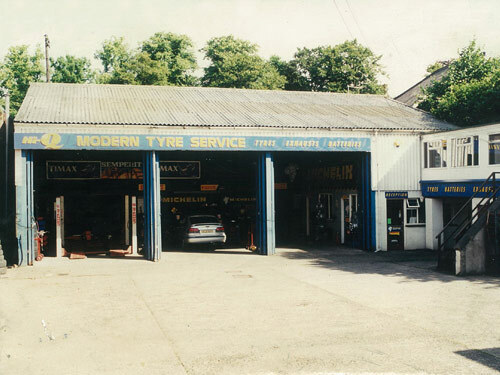 Welcome to our timeline which plots the history and growth of the company from its inception in 1965 and one depot situation to present day as Irelands largest independent tyre retailers with forty branches Nationwide. 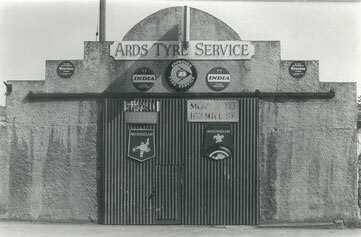 Jimmy Byrne first began his own tyre business in 1962 when he set up a remould manufacturing factory in Lisbellaw, Co Fermangh. 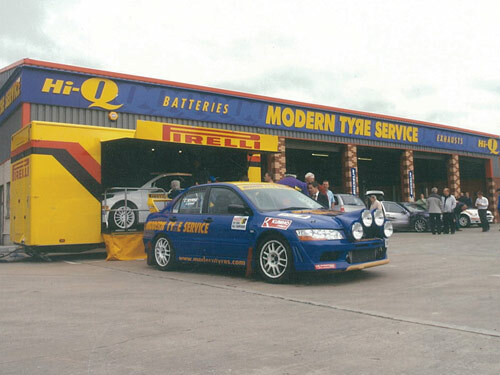 Then in 1965 he opened his first retail/wholesale tyre depot in the old Railway Yard Enniskillen and Modern Tyre Service was formed. Looking for an opportunity to expand the business Jimmy opens his second retail depot in Bridge Street, Newry. 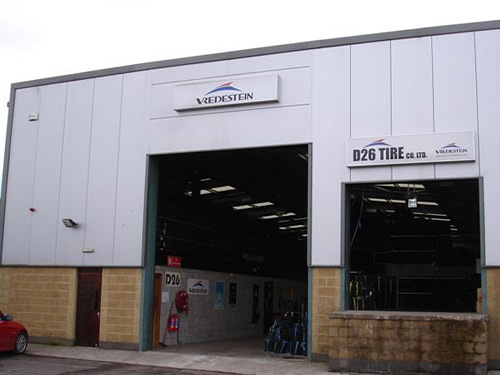 D26 Tires is formed to service the wholesale side of business in Ireland. 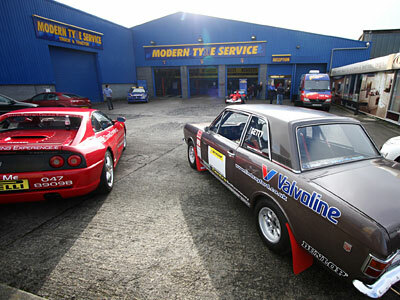 At this point Jimmy has secured exclusive distribution rights for Vredestein tyres in Ireland. Two new depots are added to the business, one in Ballyclare and a second branch on the Queen Elizabeth Road in Enniskillen. 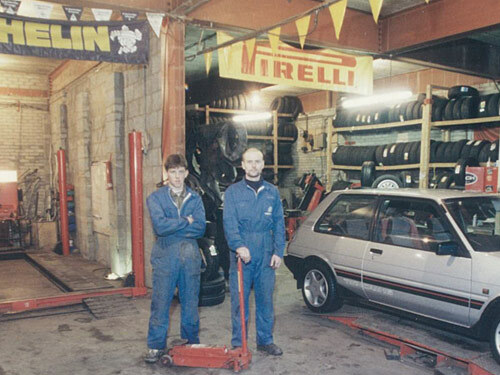 Following the expansion in 1987 Jimmy adds another two branches one in Omagh and makes his first acquisition and takes over Norman Campbell Tyres in Dromore Street Ballynahinch before moving to Harmony Way. 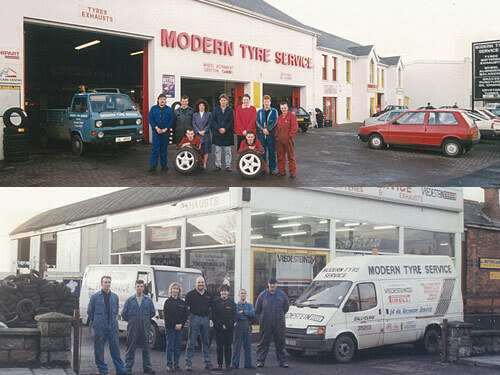 Modern Tyres is opened in Banbridge in Downshire place before moving to new build premises on the Castlewellan Road in 1998. 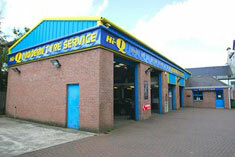 Ards Tyre Service is acquired in Newtownards along with Lislea Tyres off the Lisburn Road in Belfast. 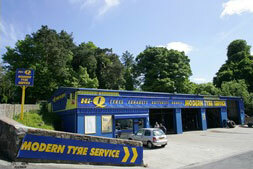 Swift Tyres in Holywood is acquired and some extra ground purchased where a new three bay depot is built. 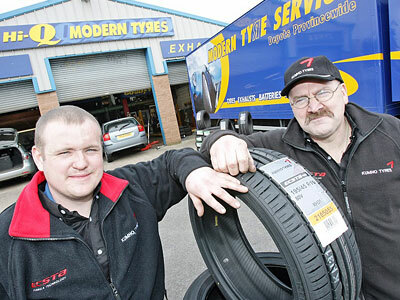 Five acquisitions were made in 1998 – Noel Reaney Tyres in Ballymena, Treadwell Tyres on the Boucher Crescent in Belfast , Gordon Mairs Tyres in Lisburn and John Graham Tyres in Larne. Magherafelt is opened in Fairhill Industrial Estate. A new build Head Office and warehouses are opened on the Tempo Road Enniskillen. 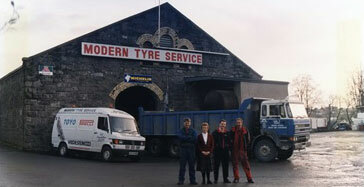 A new warehouse and tyre depot with offices is opened in Carnbane Industrial Estate Newry. 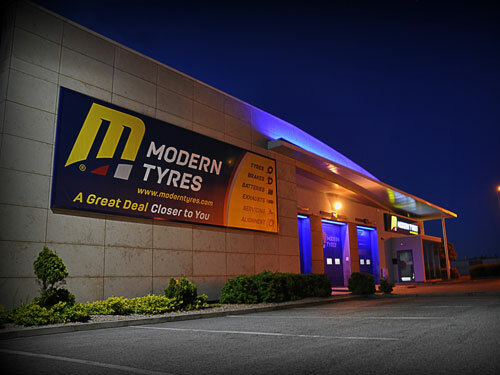 The biggest acquisition yet came in 2002 when Modern Tyres purchased the Northern Ireland arm of Motorway Tyre and Exhaust centres. 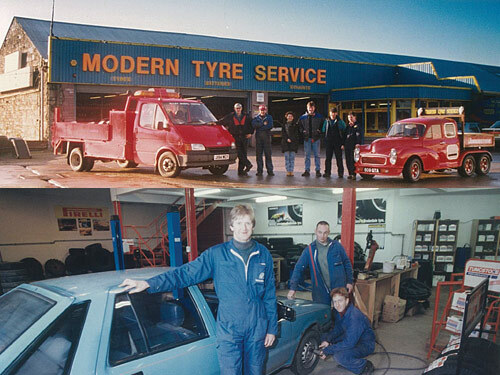 It brought Moderns presence in Northern Ireland to 20 branches with the addition of a depot in Ballymoney, Dungannon, Ballymena, Lurgan, Belfast and Antrim. 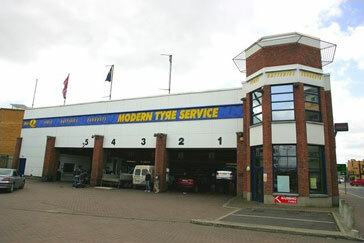 Ward Tyres in Westwood shopping centre in West Belfast is acquired. 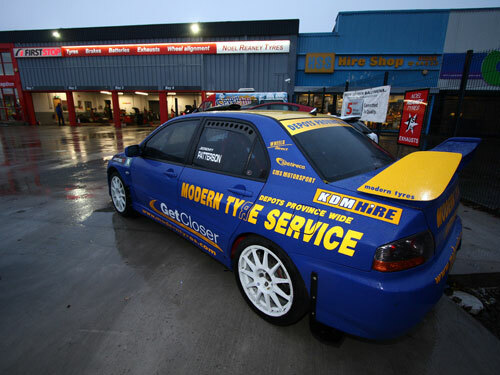 Breico Tyres and Exhausts on the Strand Road in L’Derry is acquired. 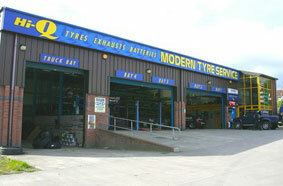 Cauldwell Tyre and Battery in Strabane is acquired. The Ballymoney branch is relocated to new premises on the Ballymena Road, Ballymoney. 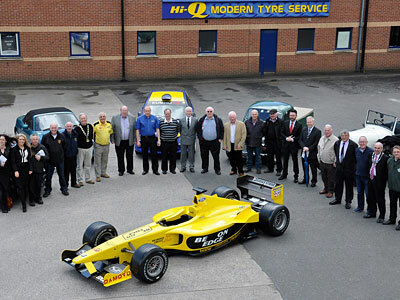 Noel Reaney Tyres in Ballymena gets refurbished and is officially re- opened by Jenny Bristow. 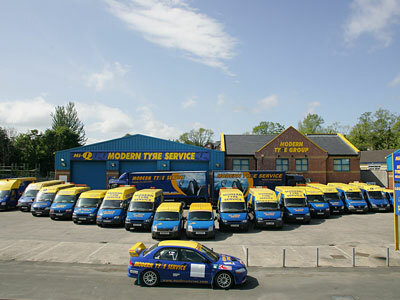 We acquire the last three remaining ATS branches in Northern Ireland adding depots on the Boucher Road, Belfast, Castlereagh Road Belfast and the Moira Road Lisburn. 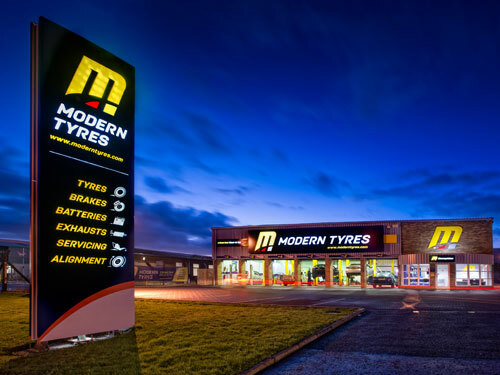 Modern Tyres expand into the Republic of Ireland taking over Hanover Tyres, adding another 10 branches to the network making Modern Tyres the largest Independent Tyre Retailers in Ireland with 40 branches Nationwide.